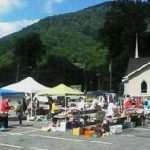 Home » News/Events » 2018 STAR Ranch Yard Sale – Stompin’ Grounds – June 2nd – Donations Needed! It’s not too soon to think about cleaning out the clutter for the STAR Ranch yard sale! Last year was great and this year is going to be the biggest ever! Mark your calendars for June 2nd at the Stompin’ Grounds parking lot. We’ll take any and all donations…Call and we’ll even pick up!